There are many use cases when you need to migrate data between two MySQL servers, like cloning a database for testing, a separate database for running reports or completely migrating database system to a new server. This tutorial explains steps which will help you to achieve that. On the broad level, you will take backup of data on the first server, transfer it remotely to the destination server and finally restore the backup on new MySQL instance. Let’s go through the step by step process needed for this. If the database is on a remote server, either log in to that system using ssh or use -h and -P options to provide host and port respectively. 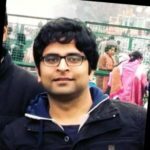 There are various options available for this command, let’s go through the major ones as per the use case. This command dumps specified database to the file. You can use –all-databases option to backup all databases on the MySQL instance. 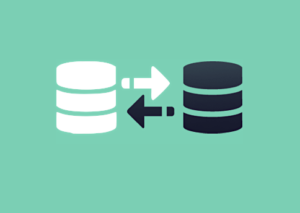 If you want to backup data using some custom query, you will need to use where option provided by mysqldump. By default, mysqldump command includes DROP TABLE and CREATE TABLE statements in the created dump. Hence, if you are using incremental backups or you specifically want to restore data without deleting previous data, make sure you use the –no-create-info option while creating a dump. If you need to just copy the schema but not the data, you can use –no-data option while creating the dump. Once you have created the dump as per your specification, next step is transferring the data dump file to the destination server. We will use scp command for that. The last step is restoring the data on the destination server. mysql command directly provides a way to restore to dump data to the MySQL. If your dump includes multiple databases, don’t specify database in above command. Need to do it regularly? There is a better way! Following above-mentioned steps, you can migrate your database between two servers easily but it can be quite cumbersome if it is going to be a recurring task. An all-in-one solution like Hevo takes care of this effortlessly and helps in managing all your data pipelines in an elegant and fault tolerant manner. Provide your Source and Destination server MySQL credentials and connection details to Hevo. Write any business logic transformations if needed in the Hevo UI. Lastly, define your tables and fields mapping for your databases in Hevo UI. That’s it! You are all set. Hevo will automatically catalog all your table schemas and will do all the necessary transformations for moving data between these MySQL instances. Hevo will fetch the data from your source MySQL server in an incremental fashion and restore that seamlessly onto the destination MySQL instance. Hevo will also alert you if there are any schema changes or network failures through email and Slack. All of this can be achieved from the Hevo UI, no need to manage any servers or cron jobs. You can also check our detailed tutorial on How to move data from MySQL to Amazon Redshift and analysis on whether you should build or buy your own data pipelines. Want to know more? Reach out to us.